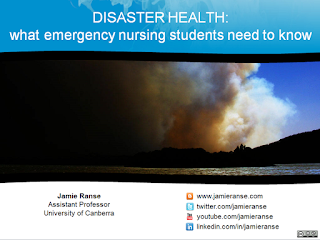 I was invited by the Canberra Emergency Nursing Student Society to discuss aspects of disaster health, particularly as it relates the the realities of nursing in a disaster and the role of student nurses. Ranse J. (2015). 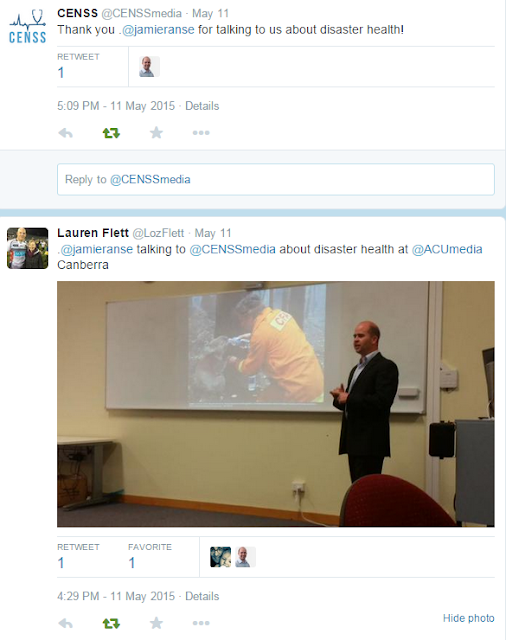 Disaster health: what emergency nursing students need to know; presentation to Canberra Emergency Nursing Student Society, Canberra, ACT, 12th May.